The title of this blog post will surprise few wellness professionals. Their personal experiences teach them that employees need and want to sit less, but for the first time, these advocates for employee health will have some data to make their case to the senior leadership. A new study published in BMC Research Notes is the “first study to investigate how long desk-based workers actually want to sit, stand, walk and be physically active,” according to the lead research, Birgit Sperlich of German Sport University Cologne. 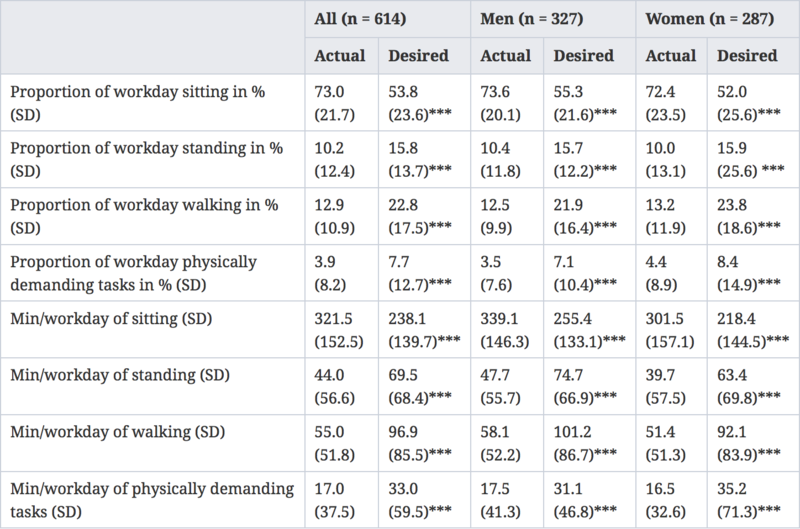 Through interviews of 614 desk-based employees in Germany, the researchers found that employees reported sitting 73.0%, standing 10.2%, walking 12.9%, and engaging in physically demanding tasks 3.9% of their working hours. When asked about how they would prefer to spend their time at work, the results differed significantly. Offices employees desired to sit 53.8%, stand 15.8%, walk 22.8%, and engage in physically demanding tasks 7.7% of their time. The greatest difference between actual and desired time were for walking and sitting. The study suggests that employers should not assume or act as if employees do not want to be more physically active, especially in the workplace. 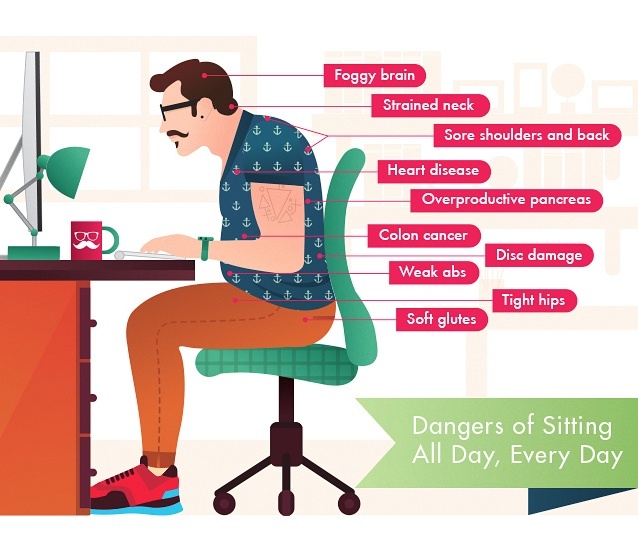 This misconception results in companies believing that lack of desire or education are the root causes of sedentary lifestyles. Consequently, many employers choose not to invest in the physical spaces that constitute an employee’s wellness experience. There are several easy and budget-friendly ways to promote activity in the workplace without breaking a budget. For example, a few shared active workspaces and managers encouraging walking meetings can go a long way to improving health and creating a work environment aligned with the preferences of a workforce. It is important to note that the study is limited to a small sample size and only includes German employees. Since the study results rely on personal preferences, which can vary by geography, it will be important for additional research to be conducted to substantiate the findings and broaden the impact of the conclusions.